Never has it been more apparent to me than recently that the small things we do every single day ultimately decide where we get to with our goals and lives. The Sky cycling team came up with a protocol of “marginal gains” a few years back were they looked into every single thing that they did and questioned if they could get even 1% better, they would then culminate those things and it does not take a rocket scientist to figure out that if you do 30 things 1% better you would mathematically see a 30% improvement. Whilst in reality that figure may be slightly distorted I think you get the point of the initiative. Small things make a difference. 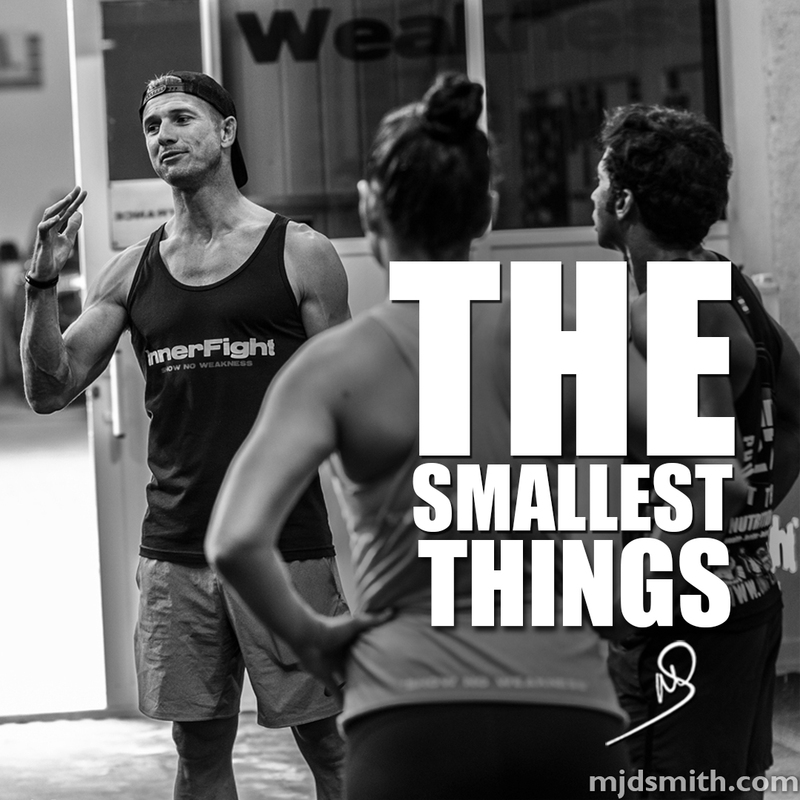 So in all areas of your life thing about the small things that you can do on a daily basis to make improvements. Some of them will take a huge amount of effort and energy and others will be so simple that you will question why you haven’t been doing them all along. As always write your list of things down and reflect weekly on 1) What you did 2) How it positively impacted your life 3) How you are going to sustain it. You will reach your big goals only when you do the smallest things day in day out so please stop focusing and obsessing about having a big goal if you are not doing the small things well. The small things for many people are the biggest goal and the biggest part of the whole process that just do not get the care and attention that they deserve.